Thus we have yet another key to interpreting this papacy’s larger agenda. The soft approval of Communism implied in this sell-out of the underground Catholic Church, which has been fighting at the cost of great suffering for decades to remain faithful to the fullness of Catholicism (including the retention of the traditional Latin Mass! ), harmonizes with many other pro-Marxist and pro-socialist statements and actions of Francis’s pontificate; and this, in turn, complements the policy of Freemasonic laïcité or secularism (a secular state “is better than a confessional state, because confessional states always end badly,” as Francis said), Pistoian liturgical modernization (in his words: “we can affirm with certainty and with magisterial authority that the liturgical reform is irreversible”), and the modernist rejection of dogmatic stability and moral absolutes (seen in a range of statements on “development of doctrine” and on sexual morality). against the Pope, and silence." "I have told these two bishops that they should not resign voluntarily so as not to cooperate with evil. But I have also advised them to obey if the Pope orders it, because a pope's command must always be obeyed." At the beginning of the year, Cardinal Zen experienced the great defeat when it became clear that Pope Francis is against all warnings, for the agreement with Beijing (see also "The problem is who sits in the cage" ). When, in 2006, Pope Benedict XVI, appreciating Zen's “zeal for the Church in China,” made him a cardinal, Cardinal Zen told the Chinese Catholics that he himself “had received the scarlet vestment in their name because it represented the red of the blood of the martyrs.” Benedict thereby wanted Zen to help him with China. But at the same time, the new head of the CEP – it was then Cardinal Crescenzio Sepe – tried to slow Zen down, telling him: “Don't forget that the Communists are also our brothers.” Cardinal Zen replied that the bishops who are jailed by the Communists are his brothers, too, and asked on whose side he, Zen, should stand. It was clear to Cardinal Zen that this prelate “wanted me to stay out of it.” When Zen came to Rome for a visit, neither the CEP nor the Secretary of State even tried to meet with him. “We are very busy,” they said. Chen Guangcheng and Weijing Yuan after meeting Cardinal Joseph Zen in Washington, D.C.Anita Crane © 2019. All rights reserved. 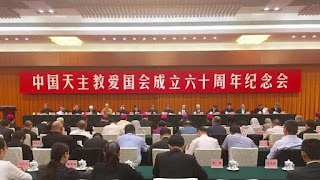 The Bureau of Ethnic and Religious Affairs in Guangzhou — better known to westerners as Canton — is offering up to $1,500 to those who act as informants, uncovering underground church activity according to a report by Aisa News. The newly instituted measure is meant to crack down primarily on underground Protestant communities but has set members of all religious faiths — including Catholics — on edge. “Now here in China we live in a Big Brother atmosphere,” a newly baptized woman told AsiaNews. 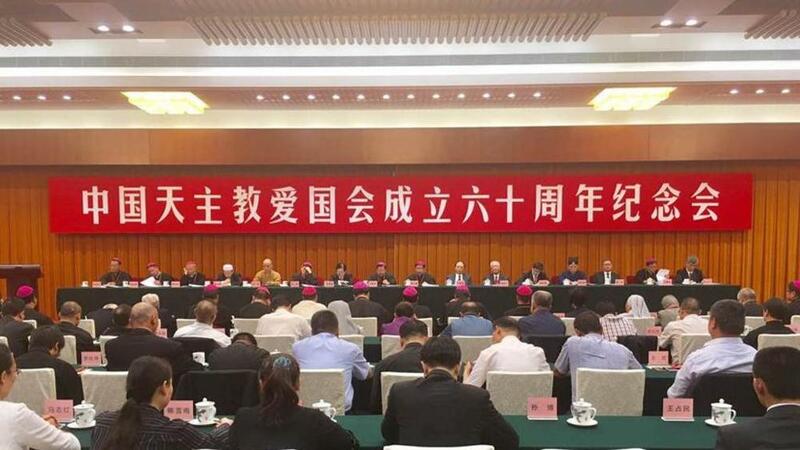 New regulations regarding the practice of religion enacted by the Chinese government in February 2018, have produced a more tyrannical environment for religious people in the communist state. While presented as nothing more than a bureaucratic revision to existing regulations, the move was seen by many as a giant step backward toward increased state control of all religions by the nation’s communist government. Their concerns have been validated. Chinese officials insist that their goal is benign “sinicization,” a process where foreign influences within the country are made more compatible with Chinese culture. In reality, it is a mandate to co-opt Christianity – a process that is exacting an increasingly quantifiable toll on Chinese Christians. Far from benign, the sinicization process has created an increasingly oppressive environment for believers. Perhaps counterintuitively to many, as China has continued to rise as an economic power and engage more heavily with the world beyond its borders, “its disrespect of religious liberty seems to be getting worse and worse,” said Bauer. Likewise, leaders within the underground Catholic Church who resist government control continue to live under the threat of severe sanctions and abduction. 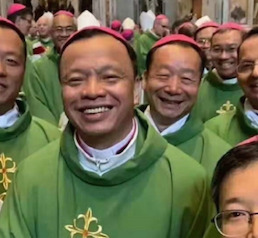 As recently as last weekend, Cardinal Joseph Zen, Bishop emeritus of Hong Kong, tweeted, “Pray for the underground church in the northern province of Hebei,” after Bishop Augustine Cui Tai of Xuanhua was taken into custody. “China’s tyrannical abuse of the rights of faithful Catholics confirms its position as one of the worst religious freedom abusers in the world — right up there with North Korea,” asserted Robert P. George, McCormick Professor of Jurisprudence at Princeton University and former chairman of USCIRF. 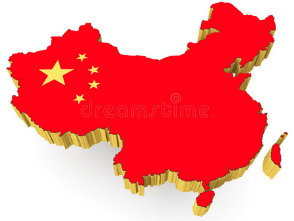 There is a reason that China has been recommended for CPC (‘Countries of Particular Concern’) status in every annual report of the U.S. Commission on International Religious Freedom since the Commission was founded by act of Congress in 1998. You are seeing that reason on display here. Catholics have long been victims of the tyrannical Chinese communist regime — but they are not alone. The regime also brutally persecutes Tibetan Buddhists, evangelical Protestant Christians, Uighur Muslims, and Falun Gong practitioners. It is an equal opportunity human rights violator. It fears, and seeks to crush, any civil society association — religious or otherwise — that could conceivably provide an authority structure outside its control.